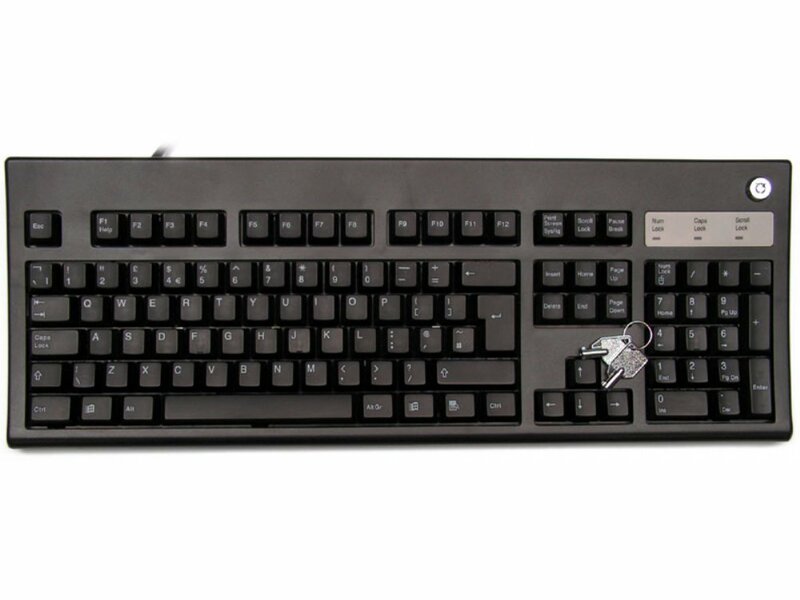 A high quality, black keyboard incorporating a mechanical, key - operated lock in the top right-hand corner. The key can be removed in either the 'ON' and 'OFF' positions. When in the 'OFF' position the keyboard is locked and will not function. Each keyboard comes with a pair of keys unique to the keyboard concerned.